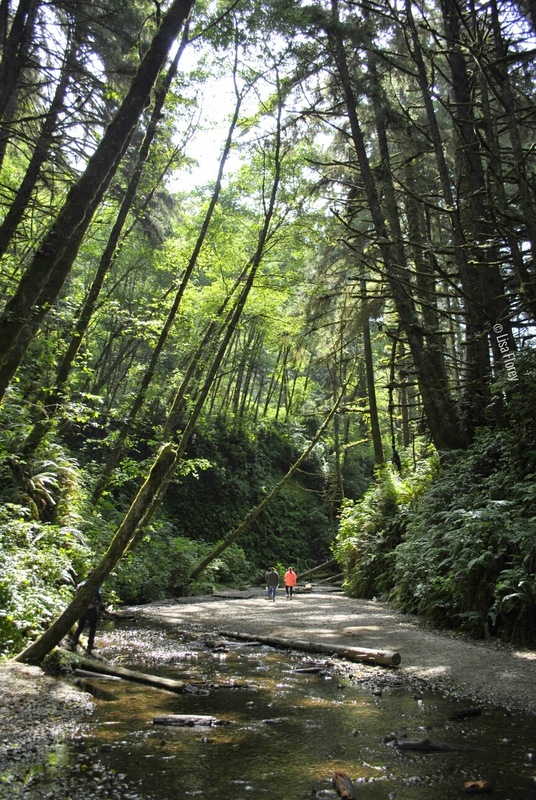 The second full day of our Redwoods vacation centered around a day trip to the natural wonder that is Fern Canyon. 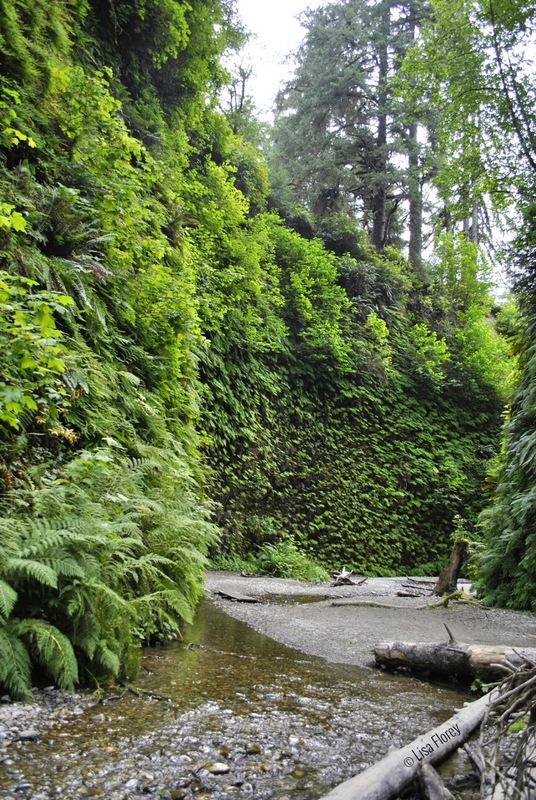 Nestled within Prairie Creek Redwoods State Park, this canyon is filled with ferns in the summer. 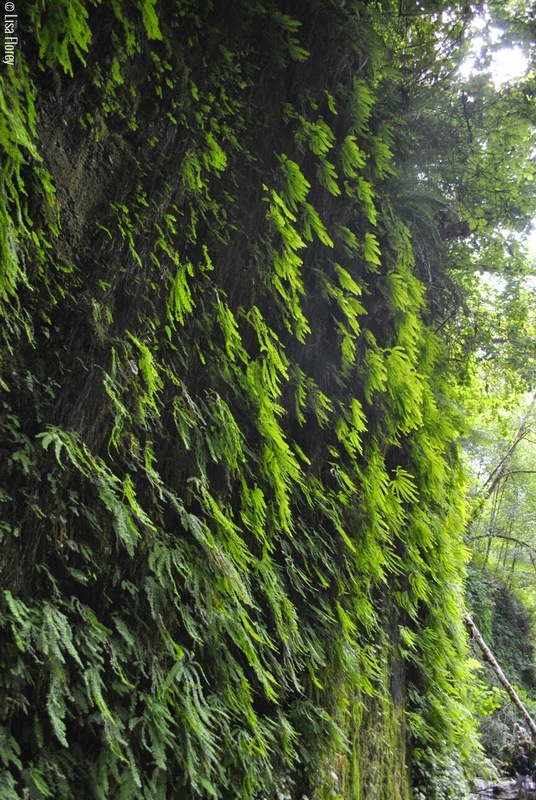 It's spectacular, with walls that are 50 feet high and carpeted with five different kinds of ferns. 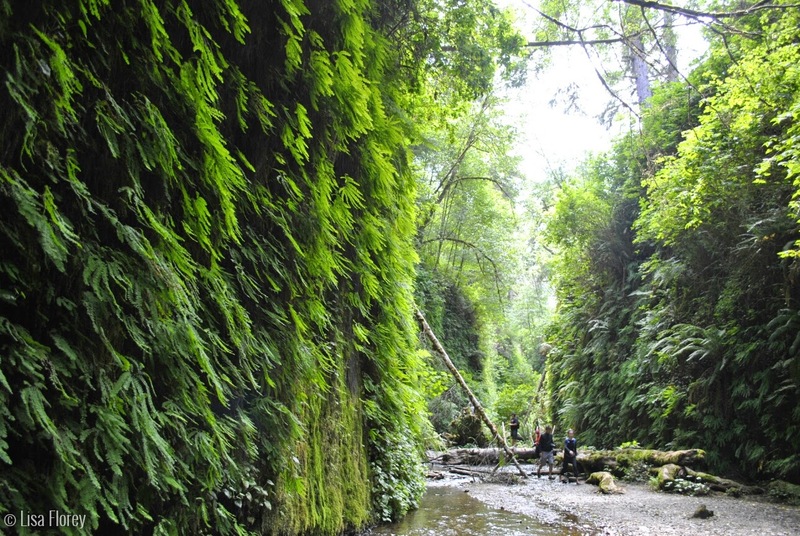 If you think the photos look a little familiar, it's because Fern Canyon was used as a location for the filming of Jurassic Park: The Lost World. 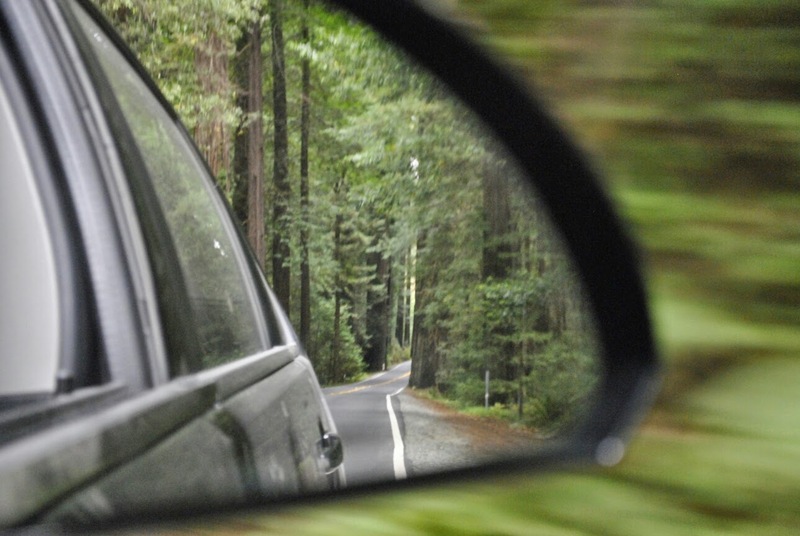 To get to the canyon, you need to take a long, winding dirt road, then hike about 1/4 mile to reach the canyon entrance. 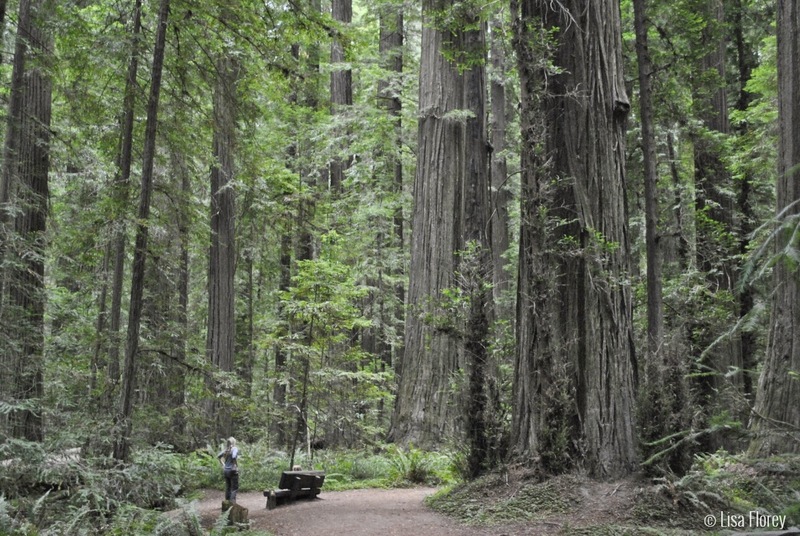 Even if you're not a hiker, it's an easy walk and worth it for the view alone. A word of warning if you have small children: keep your kids under control! Apparently someone's kid behind me went AWOL and tumbled down a small ravine. Lucky for him, it wasn't very steep, and he didn't get hurt. I only noticed because the people walking in front of me turned around abruptly and look in my direction (I suppose there was some yelling going on). Curiosity aroused, I looked behind me, and saw the frantic parents hauling a frightened kid back up on the path. I bet he didn't wander too far from safety after that. There weren't as many people in the canyon as I expected, which was nice because it meant I was able to grab some photos without any people in them. 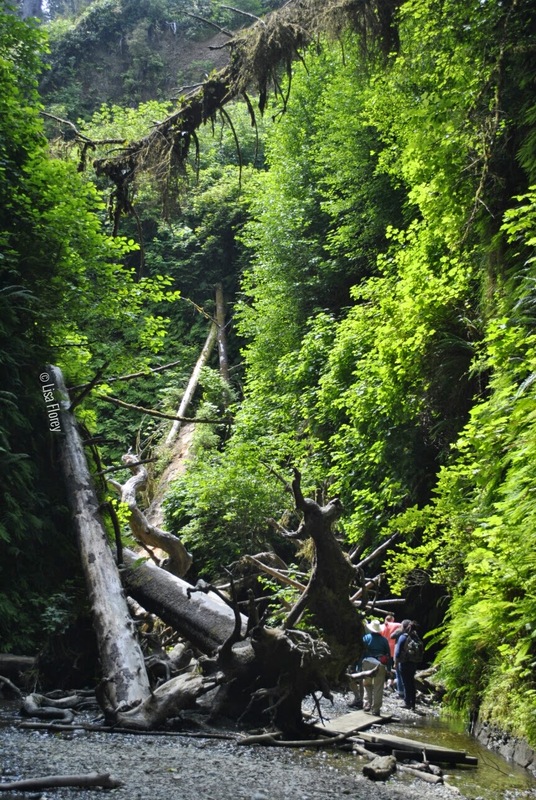 But some of the photos I've included needed people in them just to show the immense scale of the canyon! 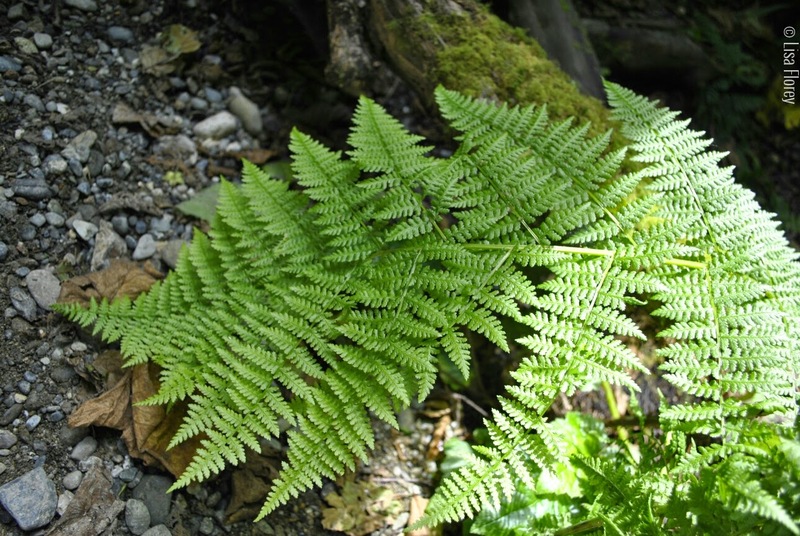 Tiny people: see them? That's Brenda & Sophia! 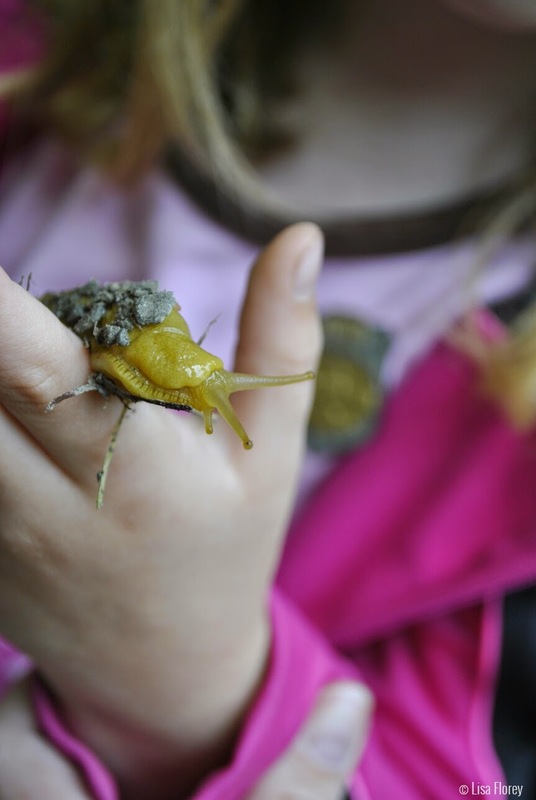 Banana slugs were everywhere. They were pretty cool. 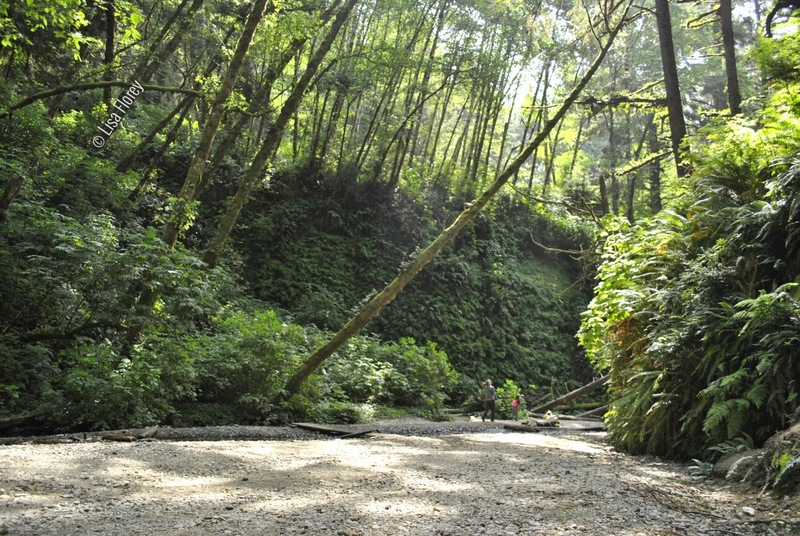 After checking out Fern Canyon, we picnicked on the beach and headed further south to check out the Avenue of the Giants. 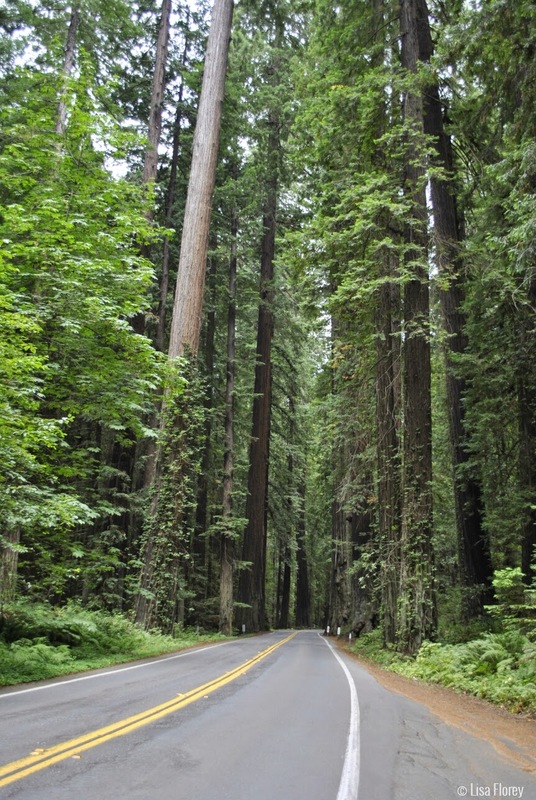 This 31-mile stretch of road is full of groves of redwoods and stops where you can get out and walk among the giants. We could have spent days exploring the area! I really, really wanted to go stand in the middle of the road and take a photo. But I didn't. 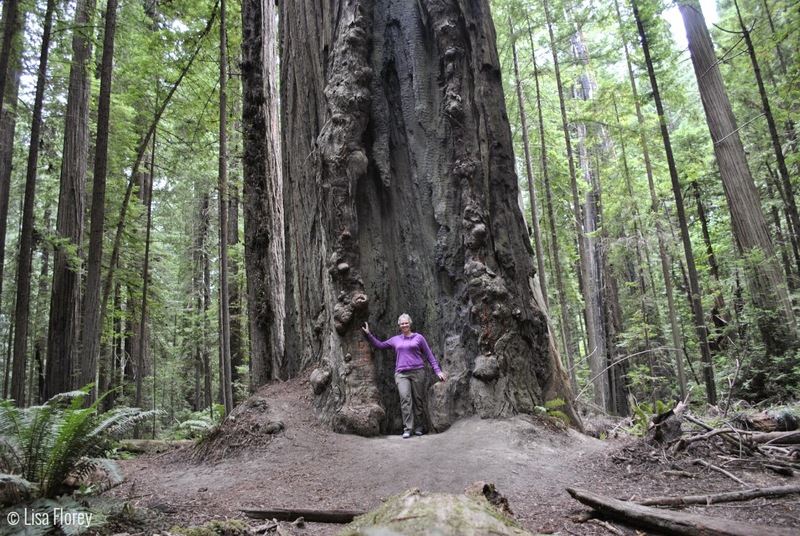 Founders Grove -- Brenda is in the photo for scale. If you look really carefully, you can see Sophia's sitting on the bench! Experimenting with the camera from the car window! 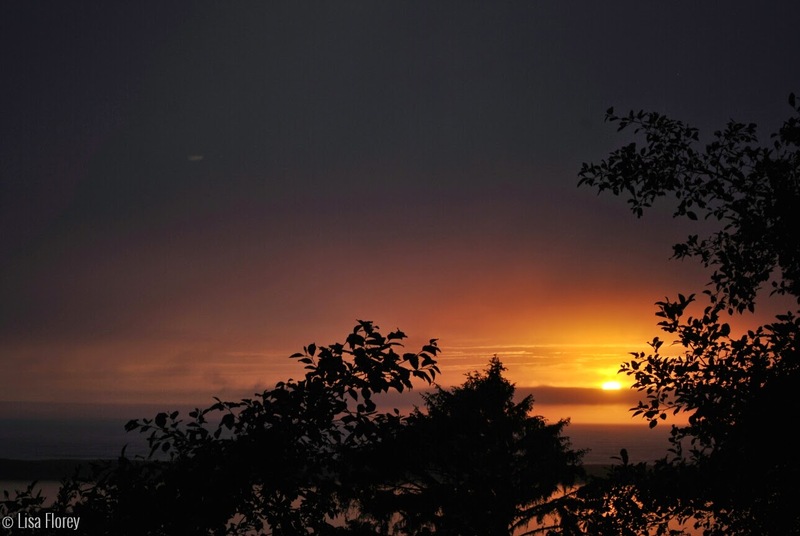 We were treated to a gorgeous sunset as we drove north along the coast!